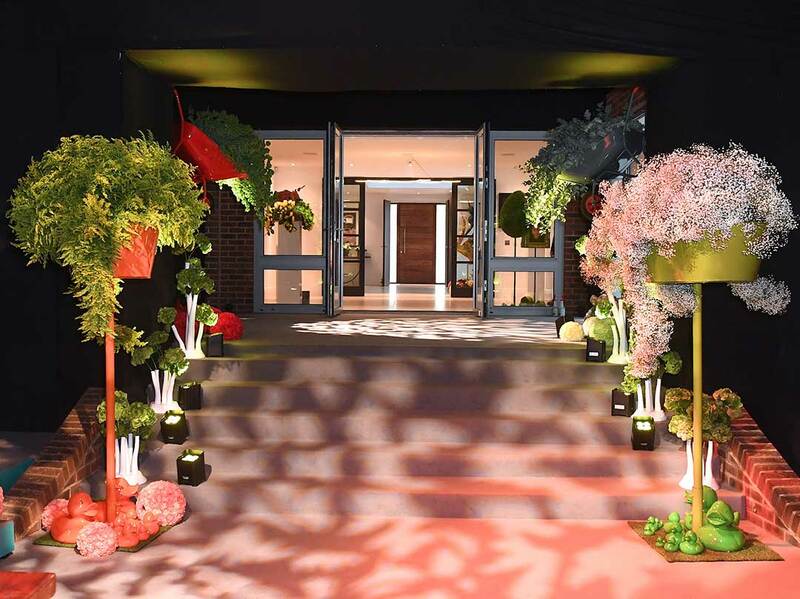 From the first meeting, it had been decided that the venue would be none other than the clients’ home, with a marquee added in order to extend this inviting feel into the garden. 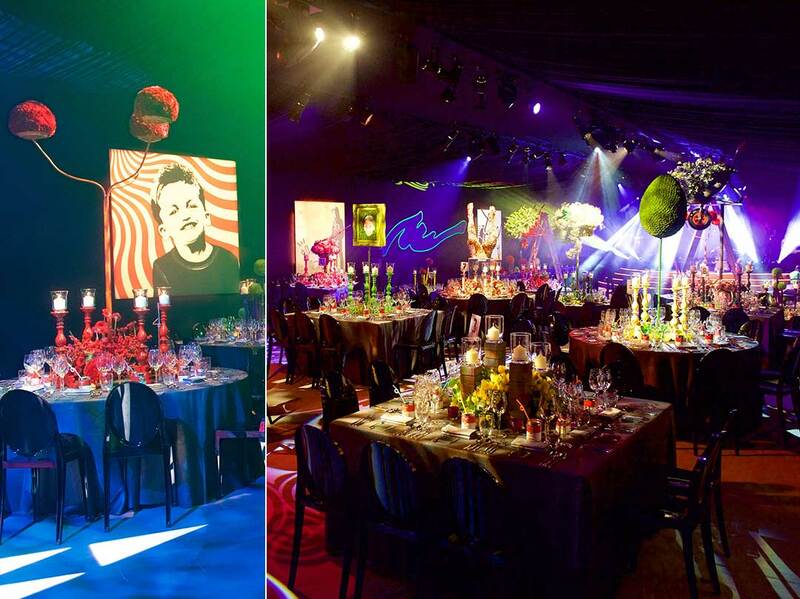 Since the concept of ‘home’ was an important part of this event throughout all stages, the JustSeventy team sought inspiration from the client’s impressive art collection around their property. 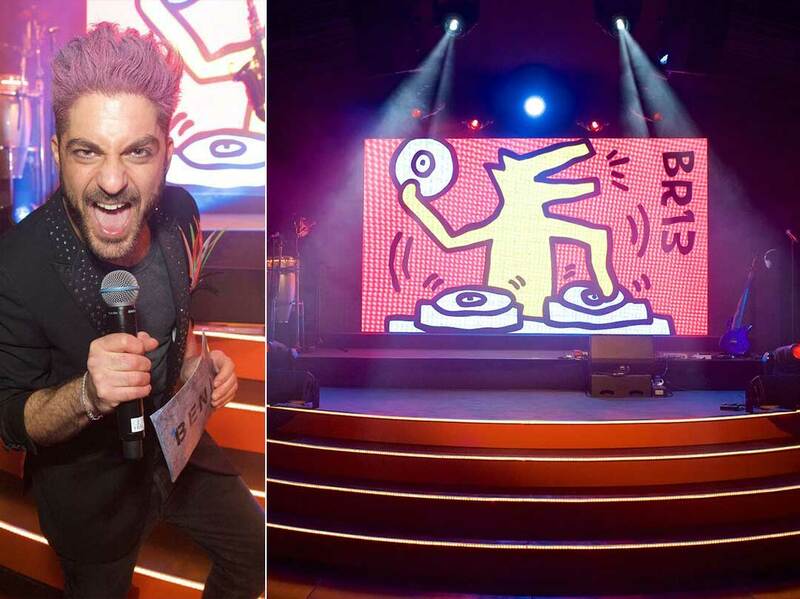 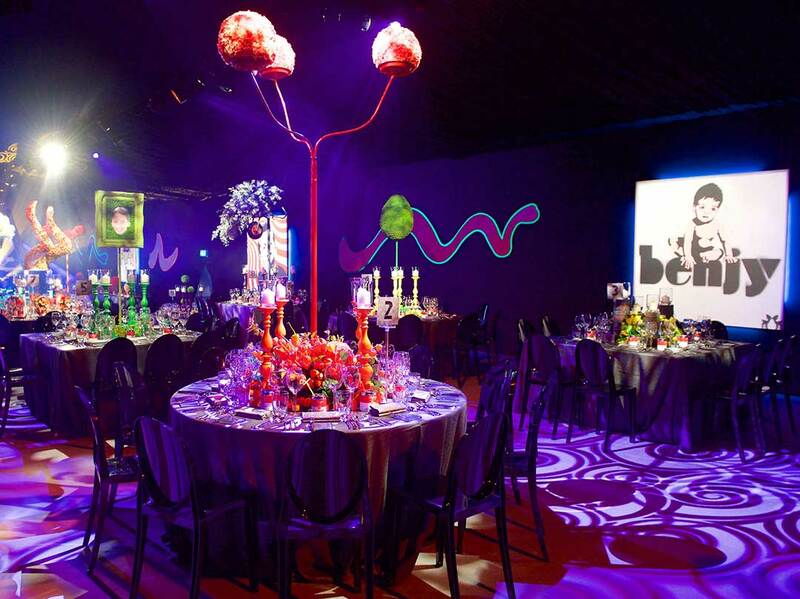 The contemporary art including areas of pop art, graffiti and abstract pieces were then used as a basis for a theme which eventually led to a room filled with neon components, trendy items and eclectic shapes. 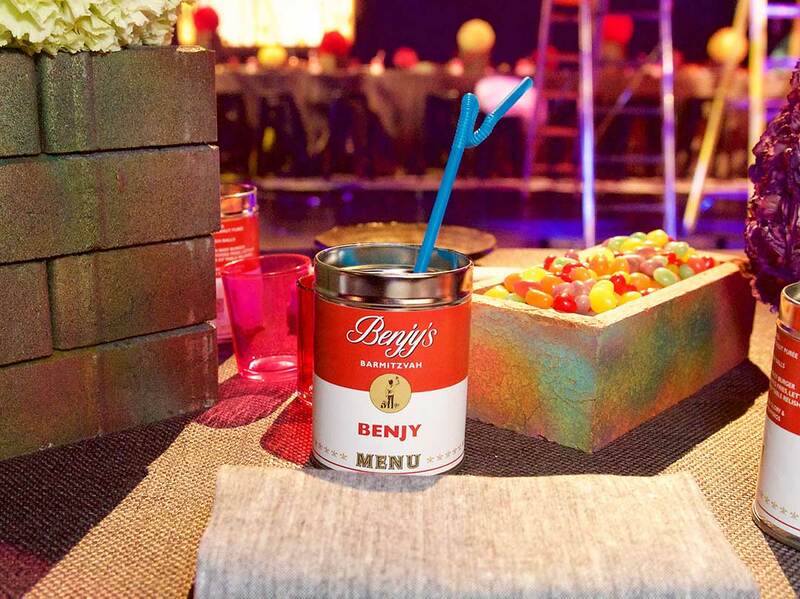 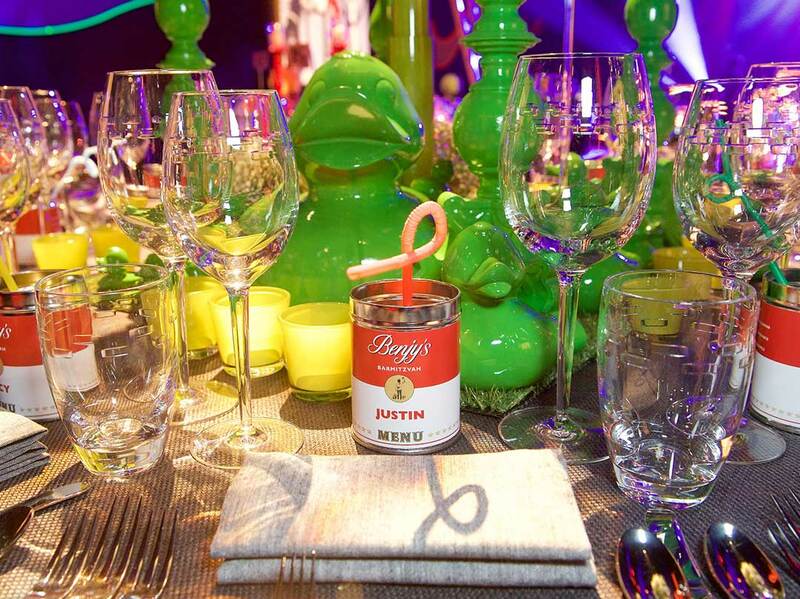 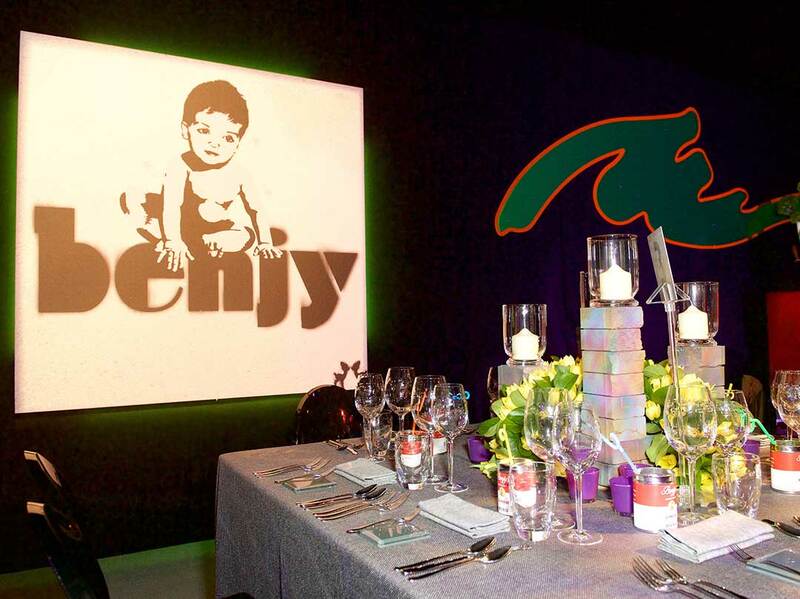 Intricate décor elements included the front of a Mini Cooper protruding from the DJ booth, Andy Warhol soup-can place ‘cards’ and Banksy-inspired artwork on the walls. 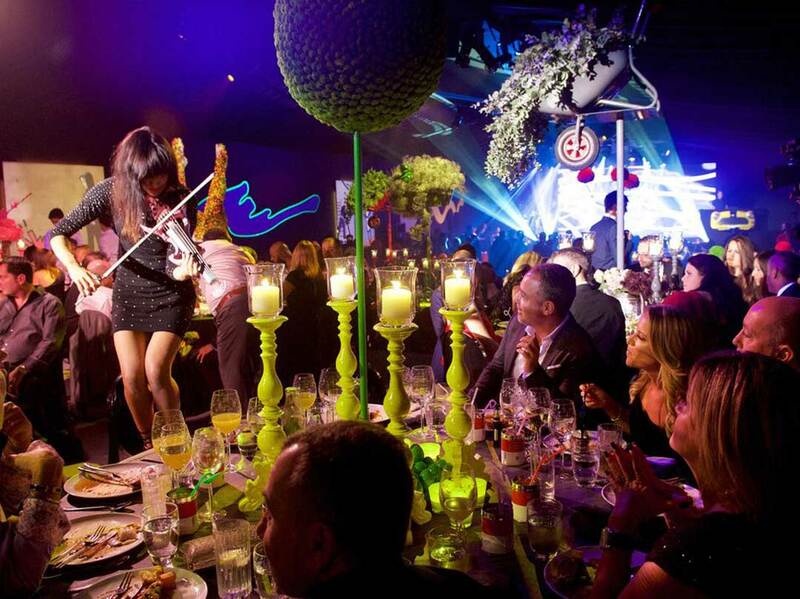 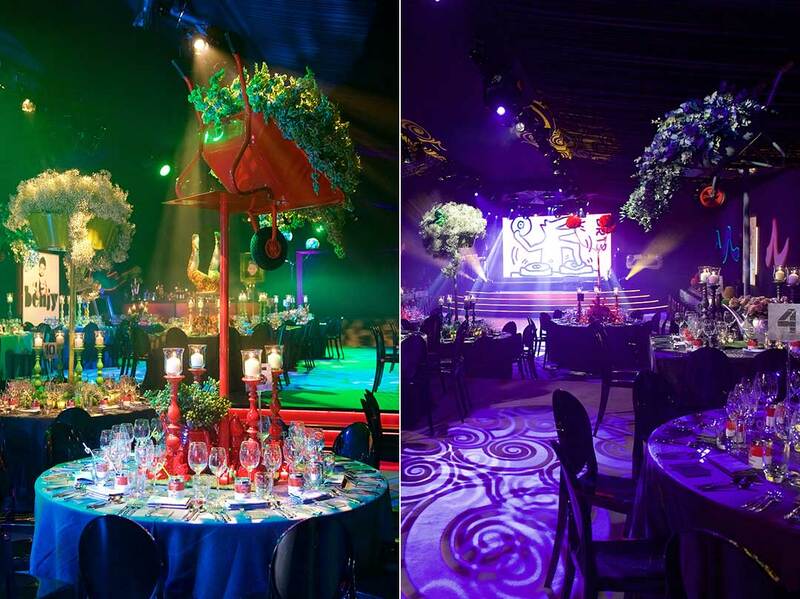 Once all guests had arrived and allowed their senses to be overwhelmed with colours, smells and experiences, the exceptional food and dramatic entertainment provided the next stages of the event. 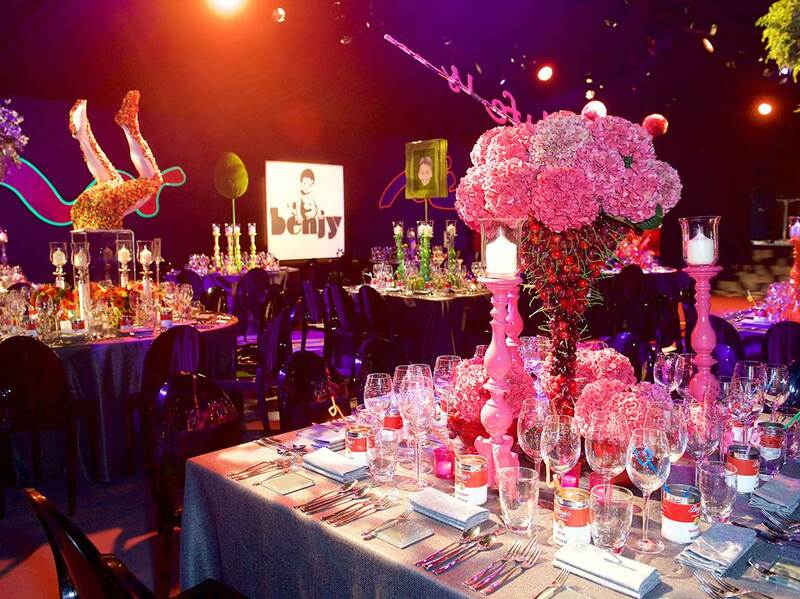 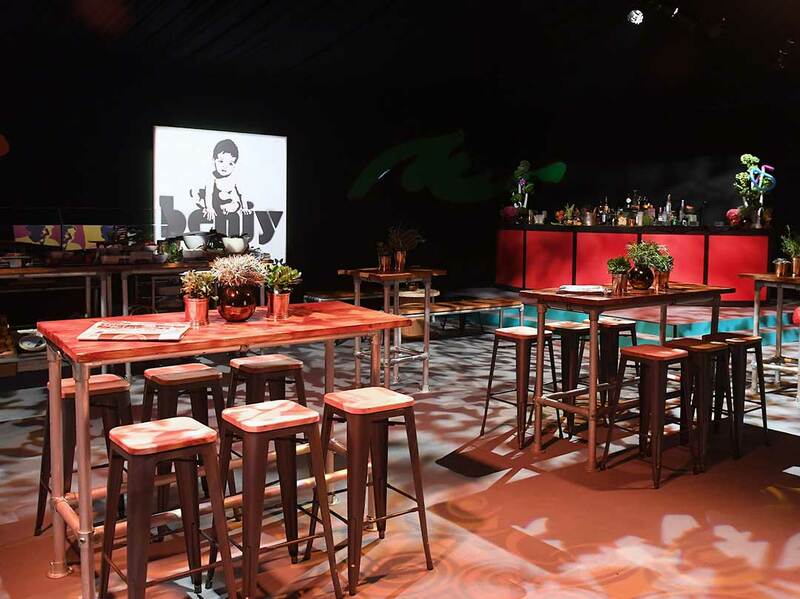 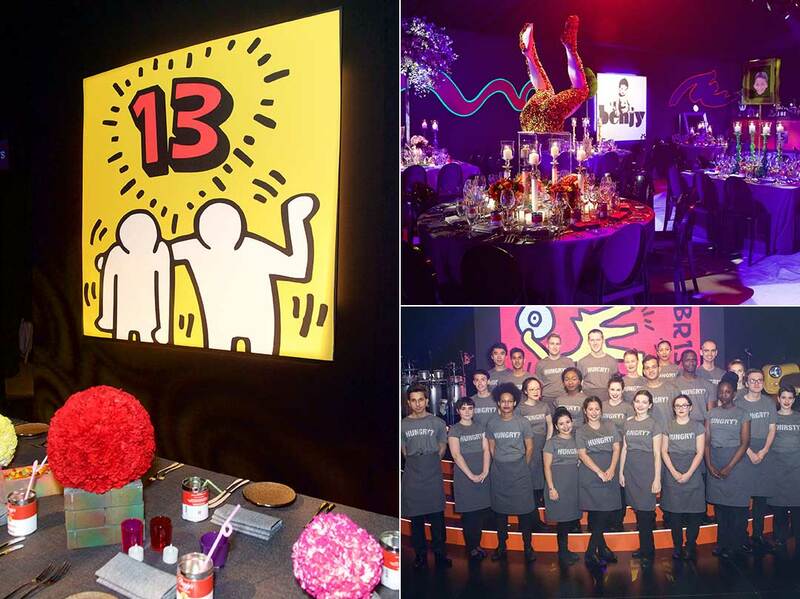 The production and detailed planning not only enhanced the clients’ home but with the stunning imagery and clever lighting made the most of the sensational pop-art centrepieces. 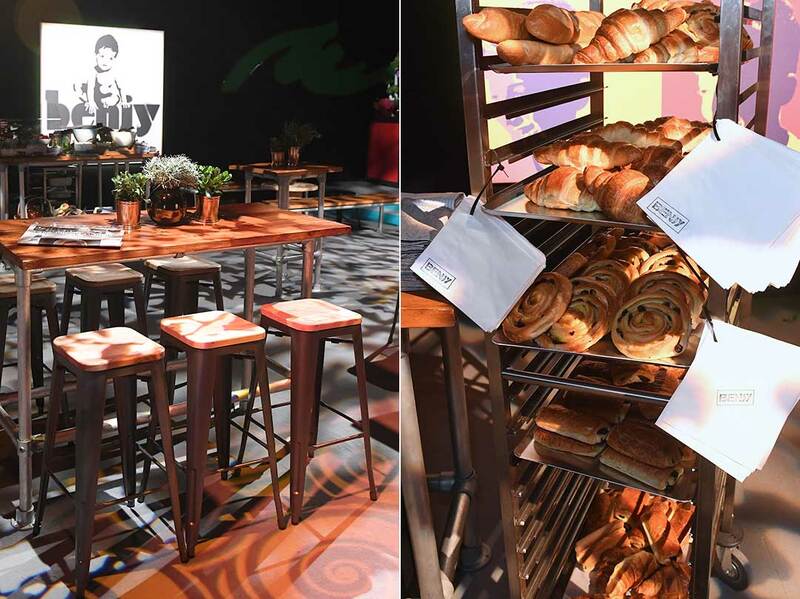 For this family, one exciting evening wasn’t enough and they wanted to make the most of having extra space at home by having a relaxed ‘Soho Farmhouse’ style brunch the following morning. 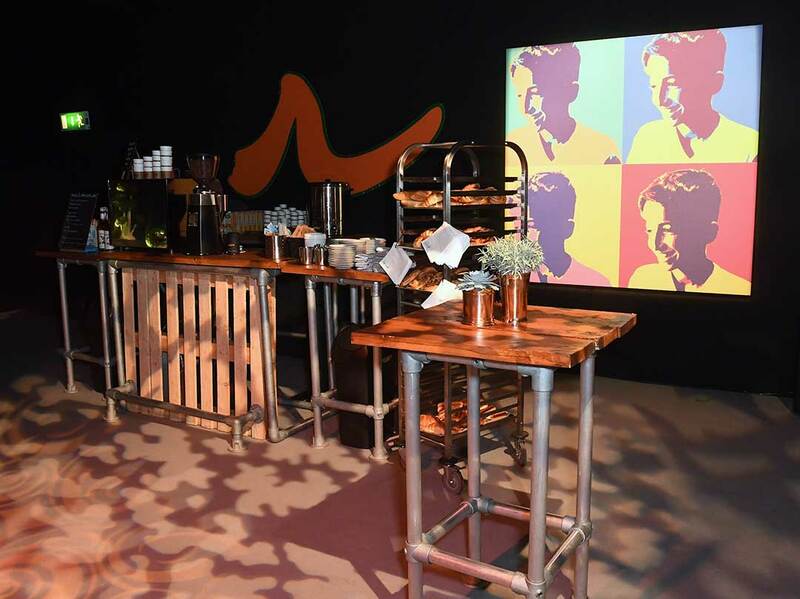 The industrial furniture combined with deliciously fresh produce from the caterer made for a gentle and sociable start to the day, and a chance to catch up on the wonderful event the night before – a collection of memories to stay for years to come.